Last week I was in Aomori. It’s a fairly remote place on the northern part of Honshu and apparently the snowiest area on planet earth, which I can easily believe. I was there to help a friend get his new home ready for his wife and five children to move into. For me that meant painting. Pretty much six solid days of it. And in the midst of that I learnt a few lessons about what it will look like for me to love Japan. 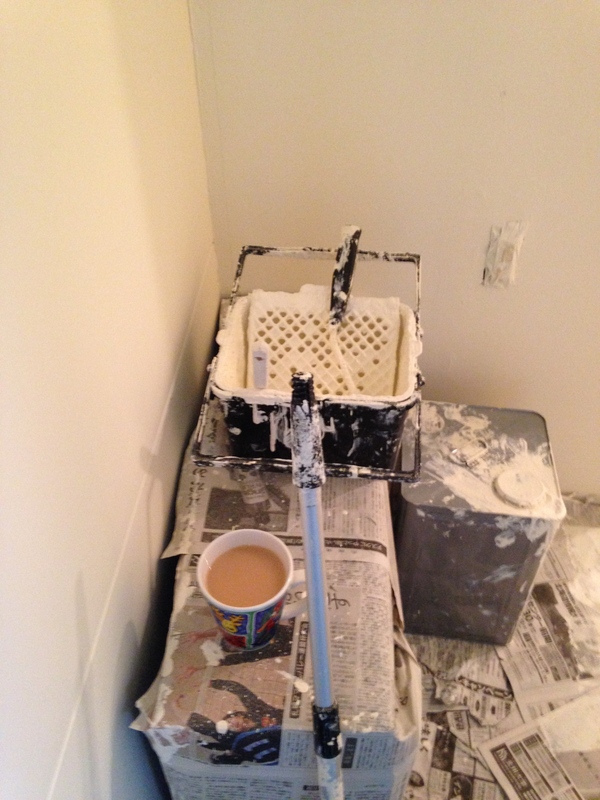 I was painting everything white, and whilst I admit it makes the place brighter, I’m not a huge fan. There was an awful lot to be painted. It all needed three coats of paint. Oh, those stairs! 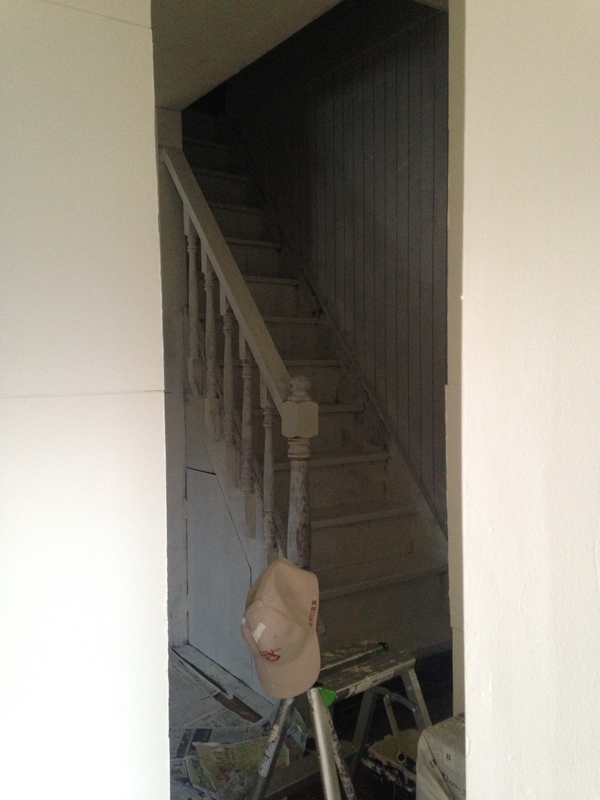 It was whilst painting those stairs that I almost cracked. I mean, look at them! That twirly bannister . . . those battered steps . . . so . . . many . . . panels. And my friend wanted it all painted white. Essentially I was going to be painting a bunch of incredibly awkward surfaces, with a colour I wouldn’t have chosen (three times over! ), for someone else to enjoy. I’ll be honest, when I finished the first coat and stood back to look at my work, I almost cried. A whole world of ugly, right? I really wanted to give up. Or at least work out a way to cut some corners. Was it really worth the effort it took to get into all the twists and edges and cracks? 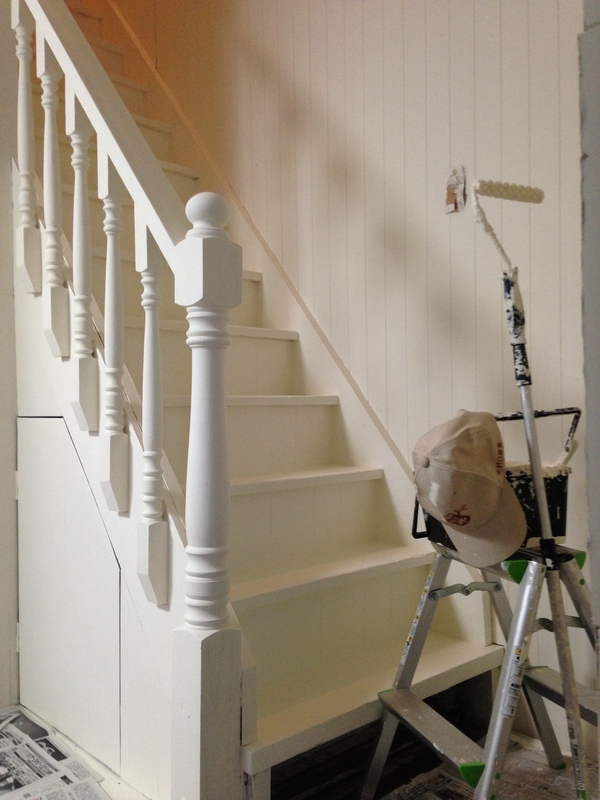 After I had finished the second coat, it looked a bit better from a distance. Maybe that was enough. That put pay to my tiredness. Sure, my friend had mentioned several times how much he liked the house, how much brighter it looked, yadayada. But knowing that his daughter was delighted with how it was looking: that got me working with joy. Seven years of hard labour, waiting all the time for the girl he loved. Not even Westley could boast that. 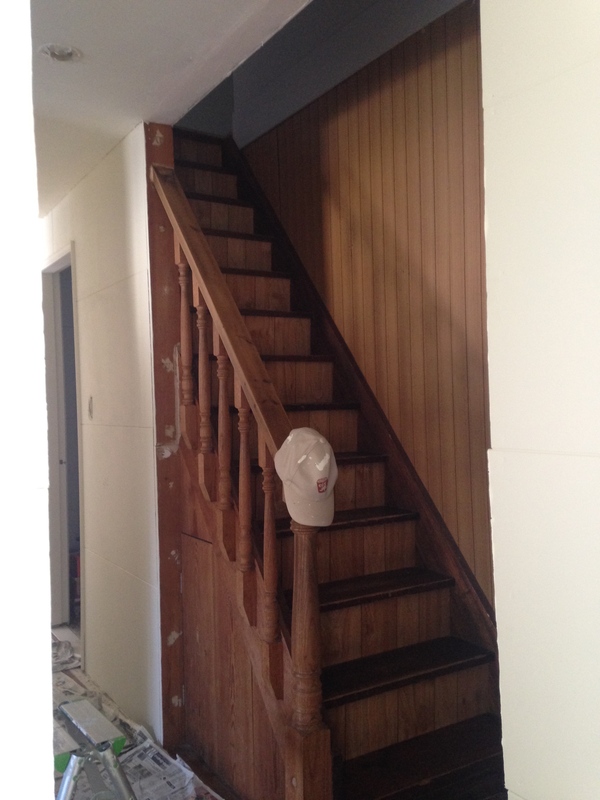 So as I was giving that staircase its third coat of white, I reflected on this story and how it links to the question I’ve been thinking about recently: Do I love Japan or is it just lust? I totally agree with that, but I think we need to make sure we don’t misunderstand what ‘waits’ means here. It’s not a sitting-around-doing-nothing sort of waiting. And it’s not a go-and-do-your-own-thing sort of waiting. It’s a serve-and-actively-seek-the-good-of-the-other-person-whilst-you-wait kind of waiting. It’s the kind of waiting that Jacob did for Rachael for seven years. It’s the kind of waiting that God did for Israel for many more years. It’s the kind of waiting that a man is meant to do for his wife, or the girl he’s pursuing. And it’s the kind of waiting that I should do for Japan. So the question is: am I willing to wait? And am I willing to labour whilst I wait? Am I willing to paint over the same spot again and again in a colour that I wouldn’t choose so that someone’s daughter will get giddy with excitement at the idea of moving into a palace? 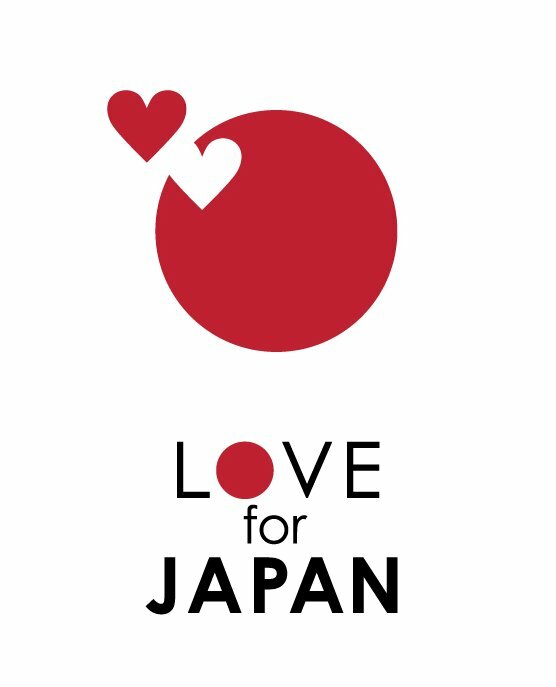 Am I willing to love Japan when that love requires a labour of love? You know, I think I am. Because I think it will be worth it. That’s why love labors, because the wait is worth it. This entry was posted in love Japan and tagged are you called?, is it love?, love is, love versus lust, loving Japan, missions in Japan on March 27, 2015 by levi. Still need a new years resolution for 2015? How about ‘Write to the missionaries I know’? As you’re probably aware, 2015 has started. And if you’re like me, you’ve been left a little bit in its wake. Maybe you had some resolutions planned for the new year and you’re now trying to catch up on five days of not practicing the piano. Or maybe you’re still trying to think of some resolutions that are possible and worthwhile. Or possibly you gave up on the whole resolution thing a few years back. I’m going to be writing about this a bit more in the coming weeks/months (in fact, I have the sense that it’s going to become one of the main topics I focus my writing on this year) so stay tuned for more ideas on the who, why, how, what, etc of writing to missionary folk. But for now here’s a few reasons (there’s certainly more than these!) why you should make ‘write to the missionaries I know’ a resolution for 2015. We really love it when we get mail that is written in a language we can read and by an actual person we know. You can do it in 20 minutes and tick it off your list. Bosh, the year is off to a great start! I’m pretty certain that are some folk who gave up on their mission who would have kept going if people had written to them. It’ll be fun. Honestly. Did you ever have a pen-friend when you were at school? Remember how cool that was? You can relive that experience! And if you missed out on writing to some kid that you didn’t really know living in a country that you knew nothing about when you were eight . . . well, then this is your chance. This way you’ll have at least one resolution that doesn’t terminate on just making your life better, which, if we’re honest, is what most resolutions are about (not that I’m opposed to enriching our own lives, but I do believe the way we most enrich our lives is by enriching the lives of others). 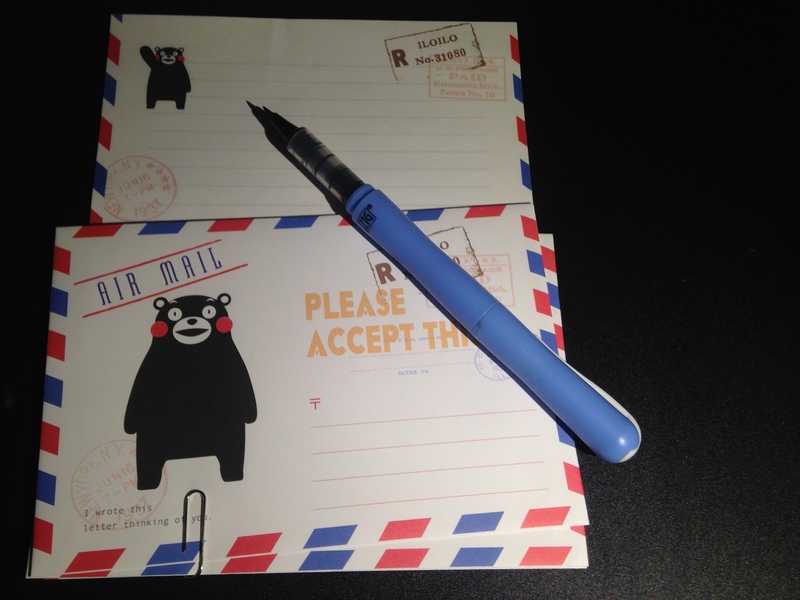 If you write actual letters, rather than e-mail, then you get the bonus point of improving your handwriting. So there you go, a resolution for 2015 that you can do today. And yes, since you ask, my resolution for this year is to write to the folk that support me. 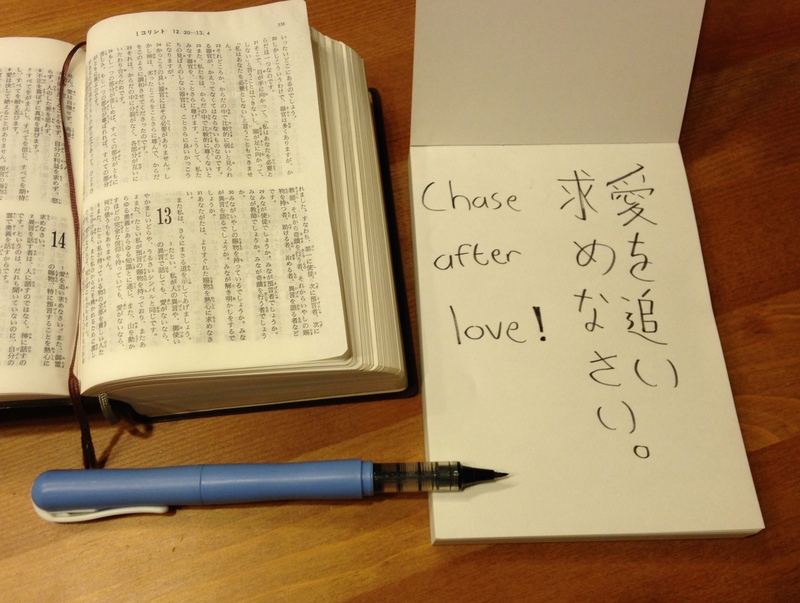 This entry was posted in Keep me on the map and tagged encouraging missionaries, encouraging missions, missionary life, missions in Japan, New Year Resolutions, the power of a letter, the power of words, writing letters on January 6, 2015 by levi. There are now only nine sleeps till Christmas, and you know what that means, right? Yup, Kentucky Friend Chicken! At least in Japan it does. Now as a Brit this is one aspect of Japanese culture that I don’t think I’m ever going to get used to. I mean, come on . . . KFC? Seriously? That’s not what Christmas is about. Christmas is about a proper roast dinner: roast turkey, roast potatoes, pigs-in-blankets, stuffing, and of course literal pints of gravy. Followed up with some Christmas pudding with custard, and then mince pies. But not in Japan. 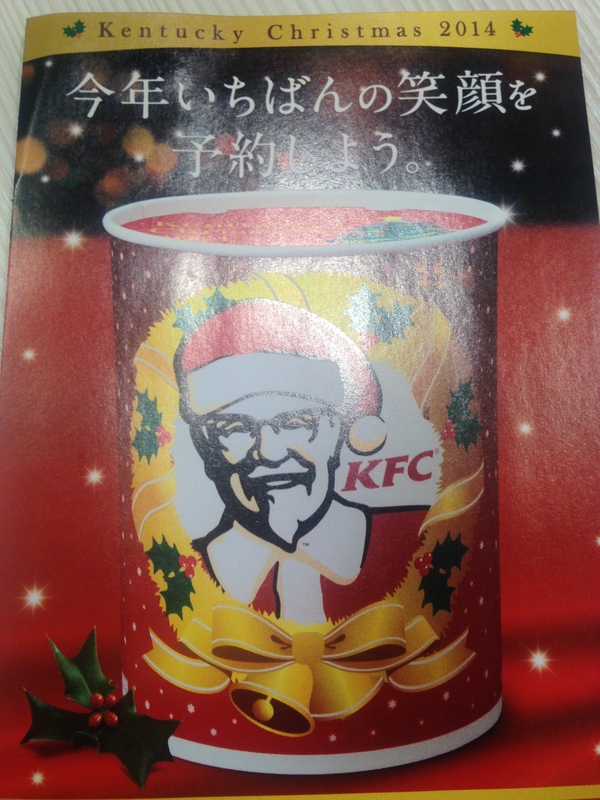 KFC have pulled off a move of evil marketing genius and somehow convinced the entire Japanese nation that a Family Bucket with a side of strawberry cream cake is the traditional food to eat at Christmas. I am impressed and appalled in equal measure. 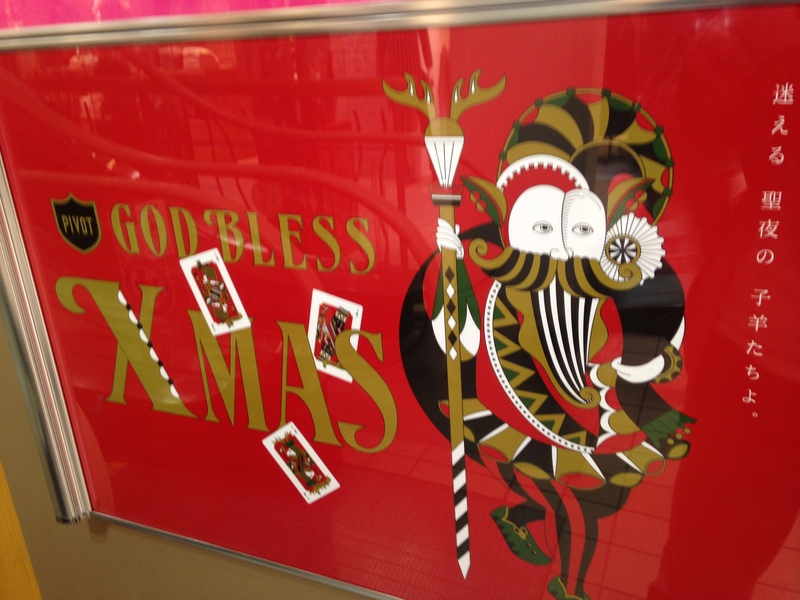 So this year I’m seeking to address the issue of Christmas food in Japan. Because here’s the thing: the thing I want most this Christmas is my dad’s Christmas dinner. See that was his meal. He did the whole thing, pretty much single-handed. And it was always insanely good. I guess maybe those years in the army helped, because the Christmas roast operation was a sight to behold and a delight for the belly. But I won’t get to eat my dad’s Christmas roast this year. Or any year for that matter. I was talking to a friend about this and she suggested that I use this as an opportunity to go deeper into the real meaning of Christmas. So that’s what I’m doing this year. I’m thinking through the Christmas stuff I’m missing this year, thinking through to the meaning beneath. Starting with food. Partly because the KFC thing has weirded me out again, and partly because I’ve realized that food is one part of Christmas that I have never really thought about. I mean, just what is the meaning of Christmas food? What does eating until you can’t move have to do with the birth of Jesus Christ? Does it? I think it does. I just think that I’ve tended to not notice the meaning of Christmas food because Christmas has always been a really fun time for me. A fun, festive holiday season to finish off the year. In the UK that means chicken covered in gravy, in Japan it’s the colonel’s secret recipe. And if I’m honest, I’m actually a fan of both (and in Japan you can get your chicken wings with earl grey tea, which is a win in my book). So if I really tried, I probably could get through Christmas day on a high of chicken and cake. But what about after that? What about New Year’s Day… Without my Dad. Easter…without my Dad. My Dad’s birthday… Without. My. Dad. It doesn’t matter how much fun I have this Christmas––and everything ‘fun’ will doubtless be tinged with sorrow––I still have to face 2015… Without my Dad. No, I need something more substantial than turkey. I need something more satisfying than mince pies. I need a saviour. I need God. And the overwhelming good news of Christmas––the meaning of Christmas (and Christmas food)––is that the birth of Jesus Christ was God giving Himself for us to feed our souls on. Christmas doesn’t mean we get to feed on fried chicken and strawberry cream cake. And it doesn’t mean we get to feed on roast turkey and Christmas pudding. Christmas means we get to feast on Christ. That’s Jesus: the guy who turned a snack into a feast, and water into wine. Miracles pointing to the deeper truth that He is the bread of life. If we go to Him, we never go hungry. Because unlike KFC in Japan, Jesus ‘the bread of life’ Christ is indeed for life, not just for Christmas. This entry was posted in Uncategorized and tagged bread of life, dealign with grief, meaning of christmas, meaning of christmas food, missionary life, missions in Japan on December 16, 2014 by levi.